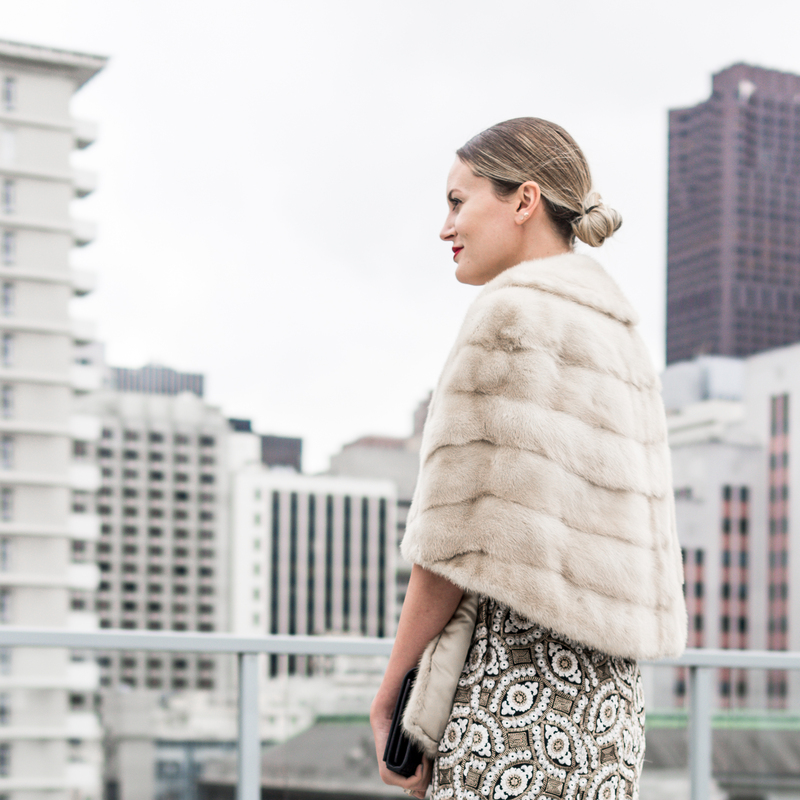 When it comes to holiday parties and New Year’s Eve bashes, finding the right dress is key. I know that I go through my dresses every year and think…I need something new. I love attending one of these holiday events wearing a piece that I absolutely adore. Enter this Alice + Olivia dress. The silver and gold embroidered mini is perfect for this time of year. I am planning to wear it to party here in San Francisco this weekend, and I can’t wait to debut this fun little number. It would also be an ideal NYE look since the dress has shimmer and beautiful detailing. I decided to pair the dress with a vintage fur, sheer tights and a simple pump (with gold accents). Lastly, I swiped on my signature red lip to complete my holiday attire. Can’t wait to debut the look on Saturday at the party!